listings and images sections in this place record for further information. This bank erected in 1862 to the design of Architect Leonard Terry, and constructed by builders Evans and Baker, replaced an earlier bank building of 1857. 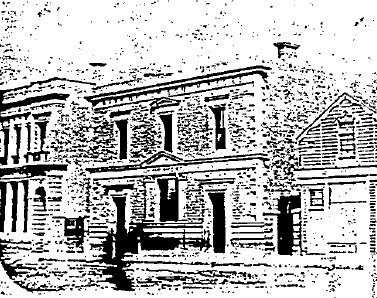 The earlier building, designed by Architects Robertson & Hale, was demolished in 1862. This building is in a restrained conservative classical manner but with slightly mannerist elements. The ground floor has arch headed windows with rustication only to the arch springing point. The upper floor has heavy Roman segmental arch window pediments supported on slender ancones set against an unusually plain wall. A plinth coarse cuts through the archittraces to meet the window guards. The whole composition is topped by a dentillated cornice and balustradedparapet. 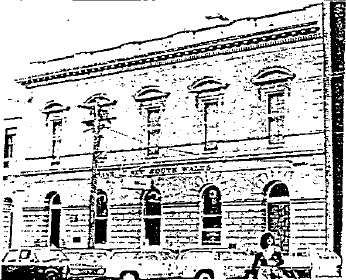 This building forms part of a group of four Leonard Terry banks which form an important corner streetscape element to the Sturt Street/Lydiard Street precincts. The grouping of these banks is unique to Victoria, and provides a focal point to the Lydiard Street precinct. The bank is in good condition and is externally intact with original stone and cement render finishes and is marred only by the illuminated sign.